Deer populations have been exploding across the USA in the last century. Before that deer populations had collapsed largely due to hunting. In the last 10 or 20 years populations of deer have been largely stable (though varying quite a bit by area). The deer populations had increased (many predators were largely wiped out and with a dramatic decline in hunter) so much that more and more complaints were being made to local governments of problems with deer grazing on property and damaging cars when the cars hit deer crossing the road. My neighborhood is urban and I have never seen deer in the neighborhood. About 5 blocks away there is a bike path with a tree lined strip of nature where I have very occasionally seen deer. The deer in the photos I imagine got here from that strip of habitat. There is a small area (next to a school which has trees that wouldn’t be so bad for a deer for 1 night). I figured the deer would leave. 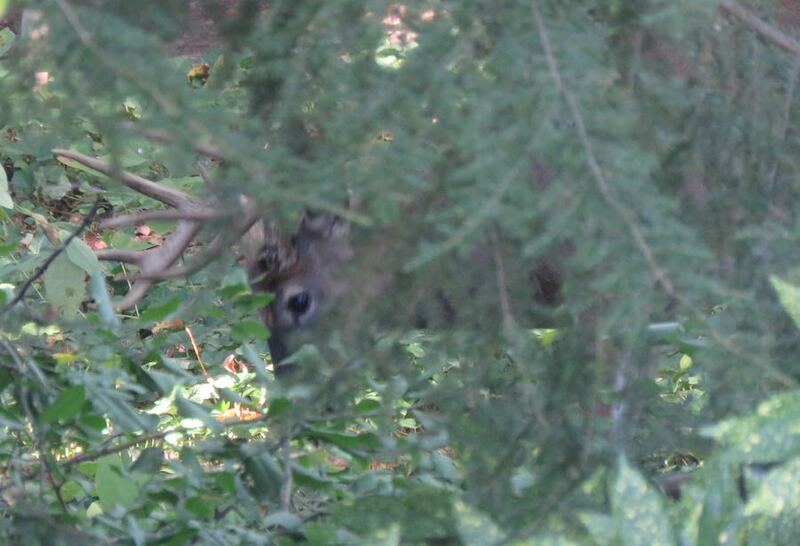 But a few days later I saw new evidence of a deer eating some small trees in my backyard – though I wasn’t sure if I missed it before. 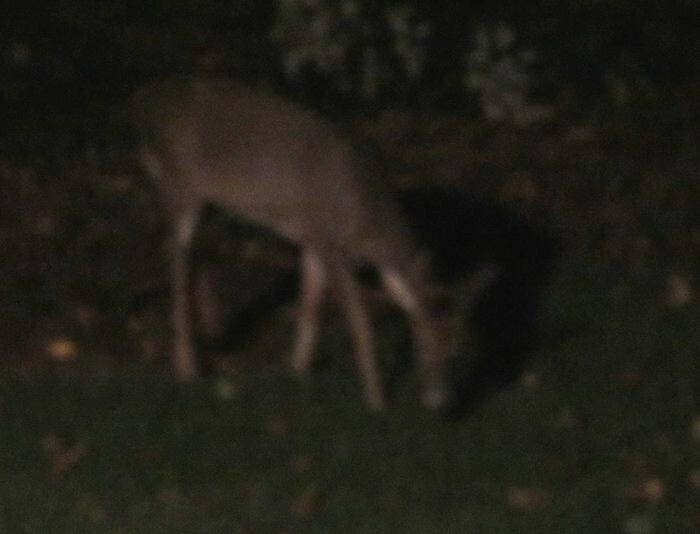 Then a couple nights later I saw a deer grazing after dark in my backyard. I have posted about other interesting wildlife in this backyard previously: Backyard Wildlife: Fox and Backyard Wildlife: Sharpshinned Hawk (see more below). However it is getting here I am surprised. If it is staying in that tiny woods I would be surprised, but given that I have seen it several days I think that is pretty likely. Otherwise it could come up here several days but it has to go through regular neighborhoods which doesn’t seem that likely either, especially to do it repeatedly.